I loved playing with Barbies when I was younger. I had a massive collection and loved receiving the new Christmas edition every year under the tree. The best thing about playing with Barbie was all of the accessories she came with. Who didn't love the corvette, dream house and of course Ken. Yesterday I spied a dream doll house that makes me want to whip out my Barbies from storage and set up house. 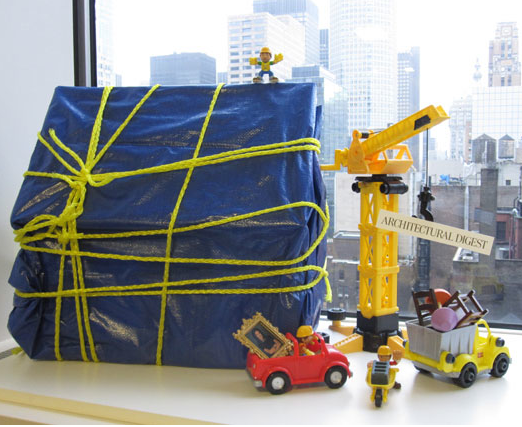 The team from Curbed sent 5 design publications blank slate Doll House and a couple of props and asked them to do what they do best...DECORATE! While my first love was the Lonny abode the folks at House Beautifuldid a fab job as well. You can read more about operation dollhouse here. This is amazing! It makes me want to buy a doll house & decorate it in a way that my husband won't let me do to our house. Guess I am going up in the attic to get all my Barbies down!! That is so cool. And the Architectural Digest house made me chuckle. What a neat idea. That's so darn cute I don't think I'd let my three girls within three feet of it! 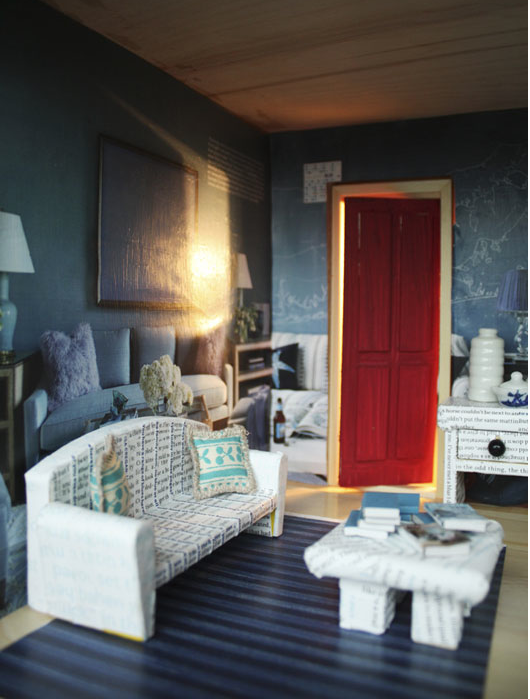 love seeing these miniature rooms. Lonny did such a fab job on this challenge! 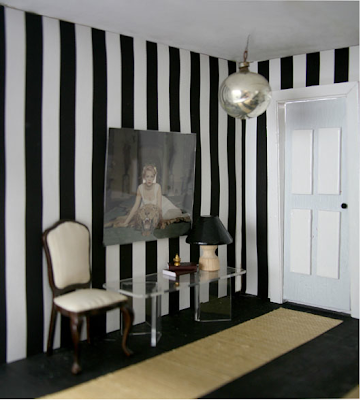 and the stripes in the entryway. 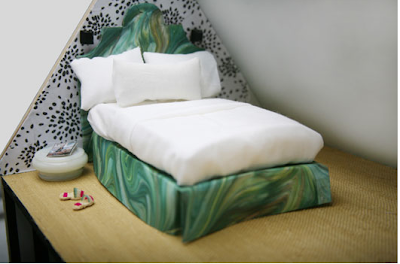 such stylish digs for barbie. too fun. Camila - So cool! Went to the site and the House Beautiful dollhouse is my favorite. 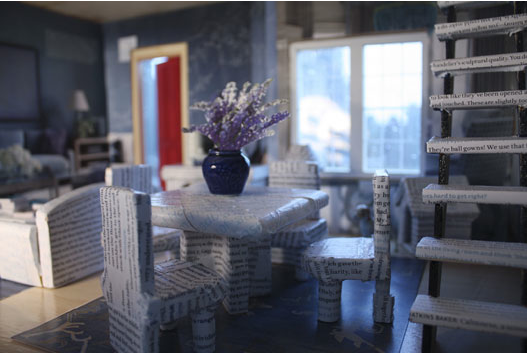 Walls decoupaged in pages from their blue issue? Love it! I had a dollhouse as a child, and it's still in my parents' basement awaiting electrification, banisters, and flooring. I wonder if my son will be interested in it some day - call it a "model home" instead of a dollhouse and have him help my dad finish it so that I can decorate it like these fantastic houses!